This year’s QS World University Rankings® features a total of 26 Canadian universities ranked within the top 800 universities worldwide. Of this number, five stand within the top 100 worldwide, and a further 10 are placed within the top 300. Compared to last year’s rankings, more than half of the top universities in Canada have improved their position, in some cases climbing as many as 30 ranks. This reflects the country’s continued dedication to developing its higher education system, and Canadian universities’ stable position in an increasingly competitive global market. With so much choice and so many enticing Canadian cities, the choice of where to study in Canada is a tough one… To help you decide, here’s a list of all the top universities in Canada that feature in the QS World University Rankings 2014/15, divided by province, in order to help you get a feel for the higher education landscape across the country. For more information on undertaking study in Canada, visit our country guide. 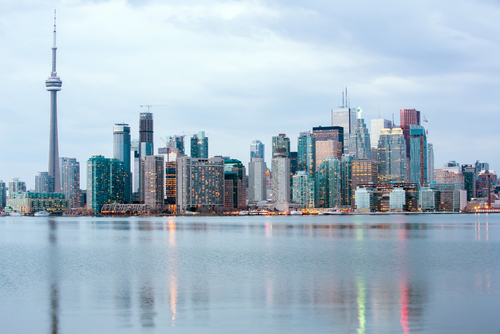 Located to the east of the country and sharing borders with New York and Michigan among other US states, Ontario is the most populous of all Canadian provinces, home to 40% of Canada’s entire population and 11 of the country’s top universities. Often considered the cultural hub of the nation, Ontario is home to two internationally famed urban centers: Ottawa (the Canadian capital), and Toronto. Once largely known only as a center for politics, Ottawa has in recent years become a popular city for young, culturally sophisticated urbanites and students keen to explore the multitude of venues and international cuisines the city has to offer. It’s home to two universities which feature in the latest QS World University Rankings. Toronto, on the other hand, has a long legacy of being a thriving cultural city, with a busy financial district, internationally diverse community and a total of four of the top universities in Canada. Even further east and extending right up into the northernmost part of eastern Canada is the province of Quebec, Canada’s largest province with the second-largest population. French is the official language of Quebec, a legacy of European settlers in the 17th century and a factor which has played a major role in shaping the cultural landscape of the region. The city of Montréal, offering four of the top universities in Canada, displays Quebec’s cultural vibrancy in full force, with its brimming arts scene, eclectic cuisines and Parisian-inspired approach to life. 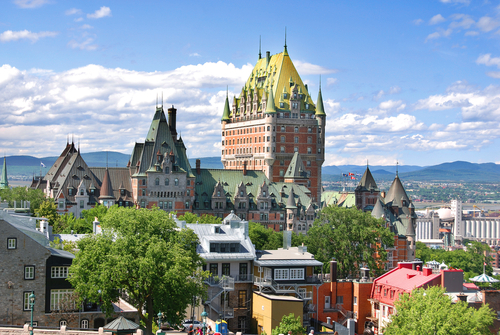 Quebec City, the capital of the province, is also popular among visitors for its picturesque historic district, and is home to another of Canada’s top universities. 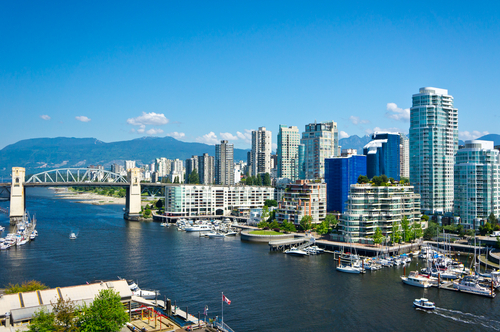 British Columbia, another of Canada’s vast, geographically stunning provinces, is on the west coast of the nation, distanced from eastern Canada by over 3,500km. Popular amongst snow sports fans, British Columbia is one of Canada’s most mountainous regions, home to the largest ski resort in North America. The province capital, Victoria, and its largest city, Vancouver, each claim one top Canadian university, and both combine urban culture and attractions with magnificent surrounding natural landscapes. 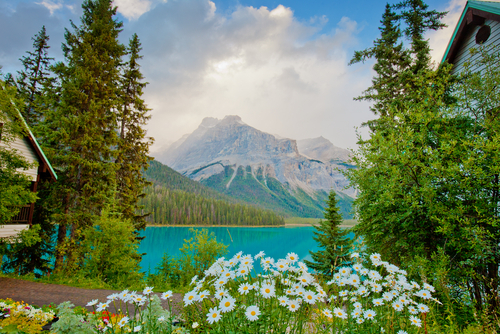 Heading back east again from British Columbia is the Canadian province of Alberta, a region no less mountainous and the nation’s most populous ‘prairie province’. Two top Canadian universities are situated here: one in the capital city of Edmonton and one in Calgary, the region’s largest city. Nicknamed ‘the festival city’, Edmonton is known for its jam-packed cultural calendar as well as being home to the biggest mall in North America. Calgary, rich with oil money and cowboy history, has made a name for itself as a clean, pleasant and environmentally friendly place to live. In a country so huge, it’s easy to overlook certain regions, but that’s not to say there aren’t top Canadian universities outside of the most touristy provinces. Aside from those listed above, four more Canadian provinces claim at least one university in this year’s international rankings. 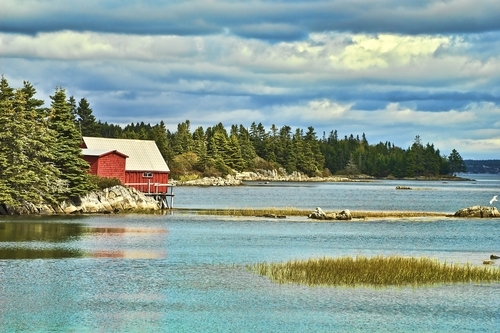 These are Nova Scotia, an eastern peninsular comprised of 3,800 coastal islands; Saskatchewan, a central province bordered by Alberta in the west; Manitoba, another central province home to thousands of lakes and rivers; and Newfoundland and Labrador, Canada’s easternmost province with a Celtic cultural influence. Hello, I'm an asian student..what are the good affordable universities for undergrad in Ontario? is there any top universities of tution fees ranging from CAD $14000 to $18000?